An early crossroads for the Birds of Prey? Tomorrow night, the Montreal Alouettes kick off Week 4 of the 2015 CFL season when they host the Hamilton Tiger-Cats at Percival Molson Stadium. While the season is still very much in its infancy, already there’s a sense of urgency as this Montreal team is looking to even its record before heading into their first bye week. But should there be? After all, their two losses were both by less than 5 points. The team accounts for several offensive and defensive leaders among the Canadian Football League. They are one of the fewest penalized teams so far in this young season. And despite some shaky play at times, there’s never truly been a sense of panic or defeat with this team. If they get in a hole, there’s a good chance that they can climb out of it. That truly has been the mindset of these players week in and out, even as the quarterback carousel was turning and key injuries started to occur. 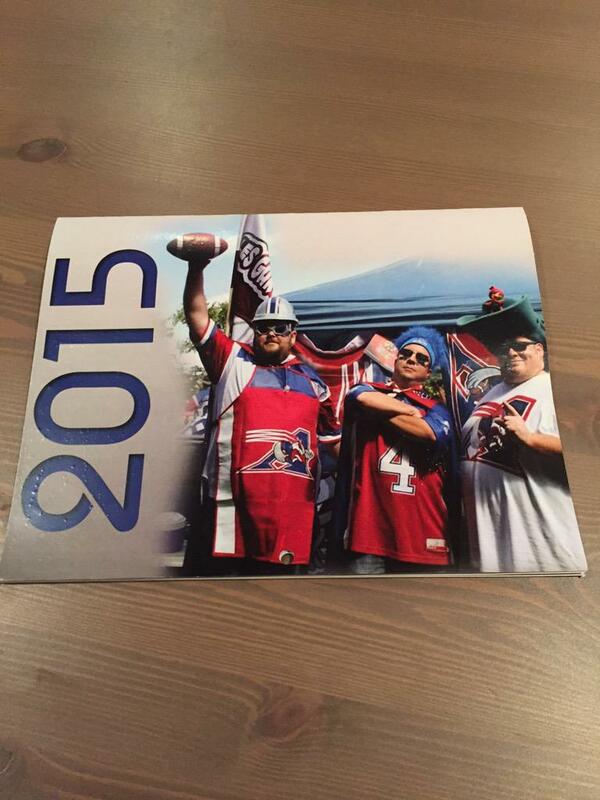 Call it homerism if you want, but this Alouettes team has not really had a bad game this 2015 season. They’ve committed several errors, as teams with new leaders tend to do. Warren Moon had some lousy games. Matt Dunigan had some awful games. Even Anthony Calvillo, arguably the greatest passer this league has ever seen, was a hot mess once upon a time. But winners find a way to win and when it’s all said and done, this 2015 Alouettes team and its leaders will find ways to win. Tomorrow’s task won’t be easy, as they face the team that has denied them playoff glory twice in as many years. But there’s something about Percival Molson Stadium that seems to be the Kryptonite for this Hamilton team of super men; the last time the Tiger-Cats won a regular season game in this building was October 22, 2002. That’s THIRTEEN years of not winning an always important divisional game. Overall, the Tiger-Cats have had the Alouettes’ number in recent years and in several different stadiums spanning three separate provinces. But when it comes to playing on the mountain in downtown Montreal, that elusive W escapes the Tabbies. However, talent-wise this may be the most top-loaded team that Hamilton has put on the field in recent years. Led by quarterback Zach Collaros along with his trusty wingmen Bakari Grant and Andy Fantuz, it’s easy to see why the Tiger-Cats have twice represented the East in the battle for the Grey Cup. If you put double coverage on one of these receivers, the other one will magically be open all day with nobody surrounding him. Alouette ball-hawks like Dominique Ellis and Mitchell White better eat their Wheaties tomorrow morning in order to stay on top of these elite players. This Hamilton defense gives Montreal a run for their money every single time. At any given moment, these two units are 1a and 1b when it comes to who is the best of the entire league. Not only do they give up very few points, they often seem to pull turnovers and interceptions out of thin air. You cannot deny the overall defensive talent that will be on the field tomorrow evening; the current win-loss records of both teams don’t even come close to telling the whole story. But there’s one area where as of now, Hamilton is head, shoulders and several other body parts above Montreal…. Yep, special teams. Montreal is committed to making Boris Bede its sole kicker come hell or high water. And tomorrow, the former Rouge et Or star will have to shake off the memory of his past outings and find a way to punt away from Brandon Banks, who has been simply unstoppable for the Tiger-Cats. Alouettes fans will remember (or choose not to!) how badly “Speedy B” torched this Alouettes special teams unit not once, not twice but THREE times for returned touchdowns in last year’s Eastern Final. Even if only two of those scores ended up counting for actual points, the damage was already done. Finding a way to impede this explosive returner will be the greatest test that Kavis Reed faces thus far as Montreal’s special teams coach. Both Calgary and Winnipeg have already fallen victim to Banks’ runs and tomorrow he’ll have the Als lined up right in his crosshairs. The Alouettes need to bring everything they have, including their history books, if they wish to go into their first bye week with a 2-2 record as opposed to a 1-3 mark and have more questions dangling overhead. Montreal wasn’t expected to hang with Calgary two weeks ago and they completely dominated the Stampeders for their first win. Maybe being surrounded by their own nest of squawking fans will be what the Birds of Prey need to nab victory #2. If nothing else, the Alouettes will be looking extra-stylish tomorrow! For the first time in 2015, they will take to the field in their Signature uniforms which drew a ton of praise from everyone league-wide. Coincidentally, the Alouettes first wore these uniforms in 2014 versus the Hamilton Tiger-Cats in a win at home. Montreal went undefeated when they would wear them, so perhaps there’s a bit of good luck woven in these snazzy threads! The old slogan from this beverage company was, “Have a Coke and a smile!” At the very least, Alouettes Nation will be guaranteed to head for home tomorrow evening with one of those items! And of course, be sure to swing by the original tailgate party put on by Les Gars Qui Vivent! 2015 is proving to be a HUGE year for this group. Not only do they have their own calendar, but now you can buy your very own Les Gars Qui Vivent hot sauce! Check the web site for more details. Even if you are reppin’ the Black and Gold of TigerTown, you’ll be welcomed with open arms. In fact, this tailgate has made the trip down the 401 to Hamilton many times, so diehard Tabbies fans may already know the members of this elite group! Nevertheless, come on by the silver trailer on the east side of the stadium and say hello! Now it’s up to you, Alouettes Nation! The team on the field will be ready to go and the stadium will offer an experience like no other. Your job is simple; fill the joint and be LOUD on defense! I can’t think of a better way to kick off the weekend early and in style than with a great game of Canadian football. For any last minute news and thoughts, be sure to follow along on Twitter. Enjoy the game tomorrow, no matter where you watch it. My team and yours have had some really good games together the last few years. Since your team does not wear double blew, I have a hard time ‘hating’ them, yet will try really hard tonight when the 2 points are on the line. I hope we meet again in the EDF in November, so good luck (other than when playing the black and gold, of course).